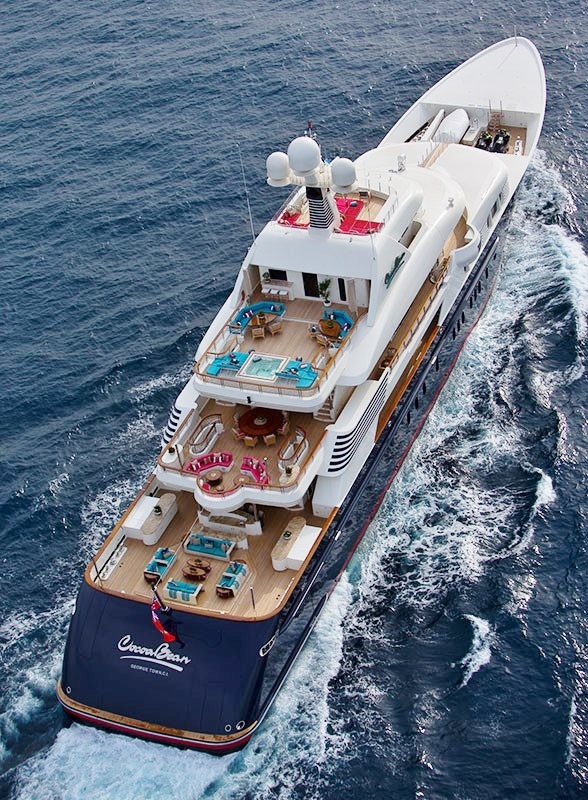 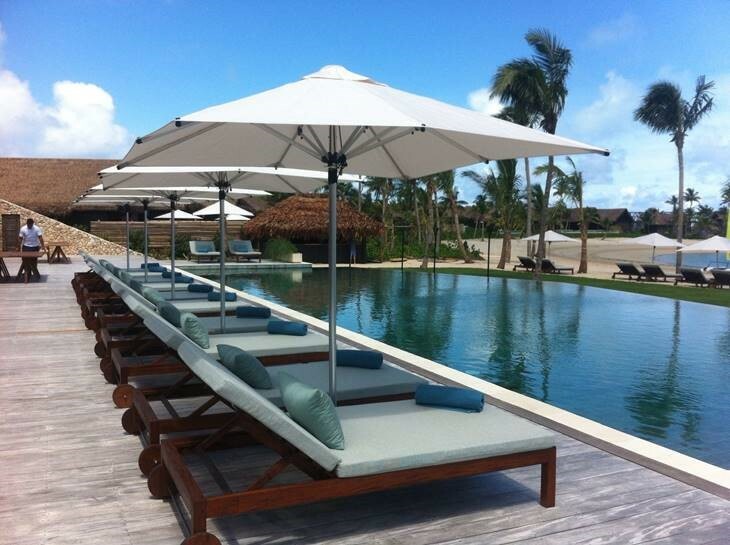 Experience world-class, resort quality shade, under the finest outdoor umbrellas available. 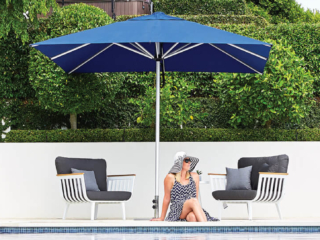 Our NZ designed Shade7 outdoor umbrellas have been carefully designed and developed over the last 17 years to be attractive, strong and easy to use. 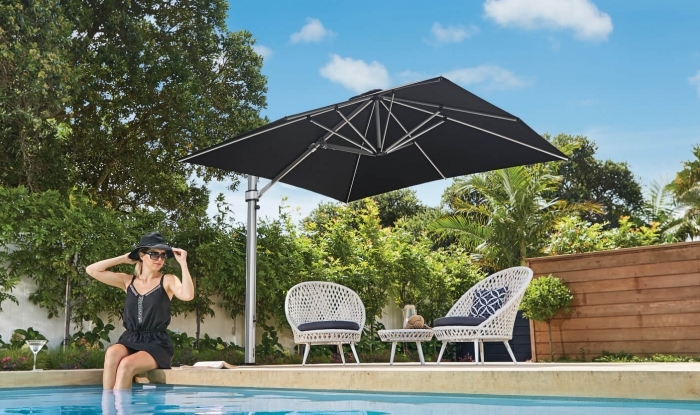 We have now exported our outdoor umbrella range into over 35 countries around the world! 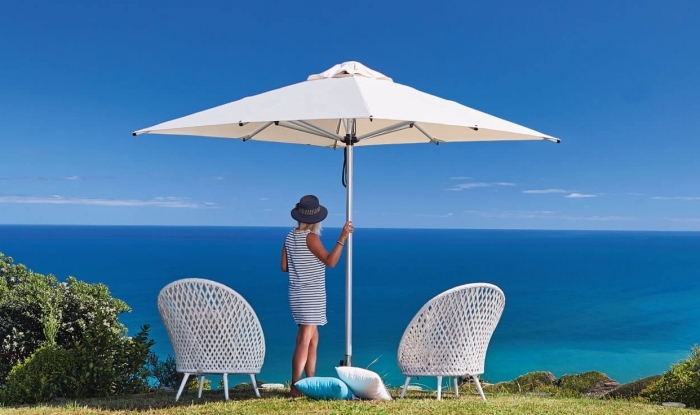 We have developed a reputation for supplying quality outdoor umbrellas that are not only visually stunning, but that are durable and made to last, even in New Zealand’s harsh climate. 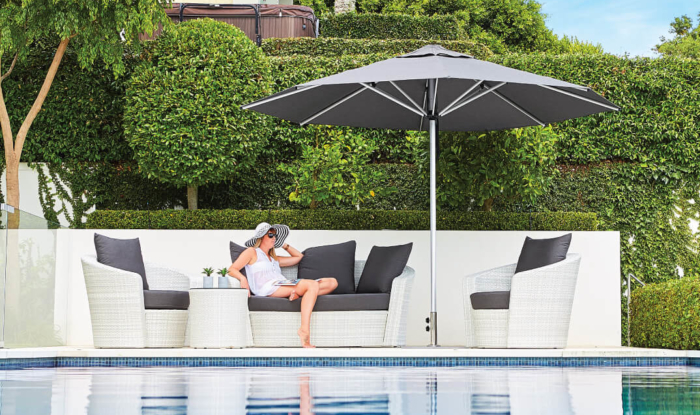 Shade7 offers a wide range of exceptionally crafted outdoor umbrellas as well as pop up gazebos for both residential and commercial environments. 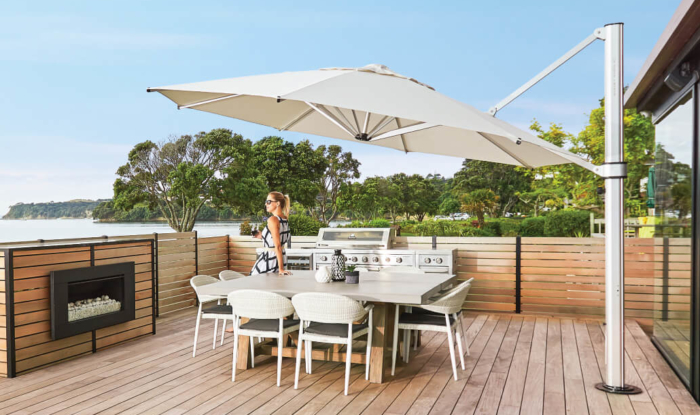 Our quality outdoor umbrellas and cantilever umbrellas have been supplied into thousands of homes, most major NZ coffee chains, and many leading hotels and resorts throughout NZ, Australia and the Pacific Islands. 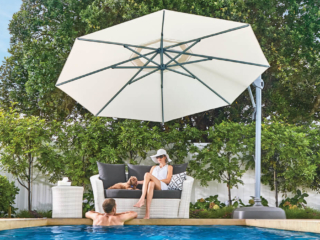 Shade7 is proud to be NZ’s leading supplier of quality cantilever umbrellas. 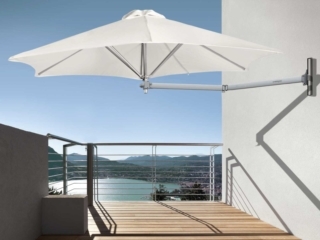 We have a large range of cantilever umbrellas to suit every environment and location. 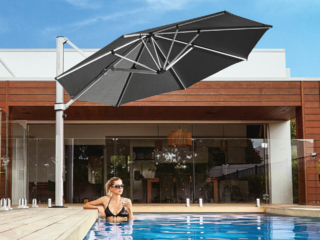 Our range of top selling cantilever umbrellas are designed and engineered to withstand NZ’s tough conditions and coastal environments. 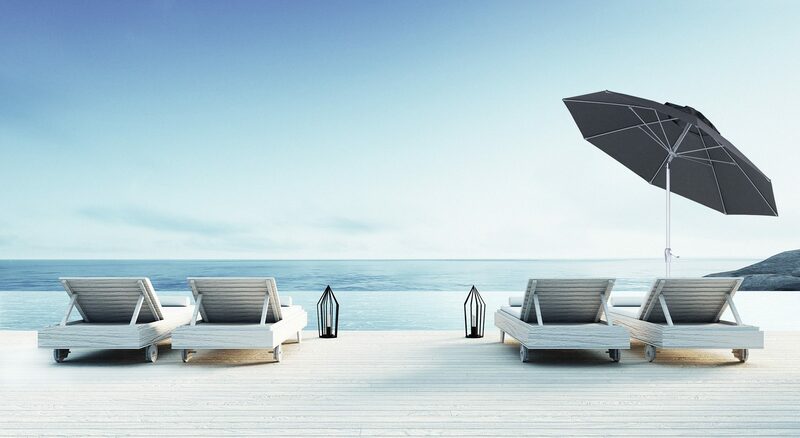 Our umbrellas use marine grade and rust free aluminium materials and stainless steel bolts and fixings. 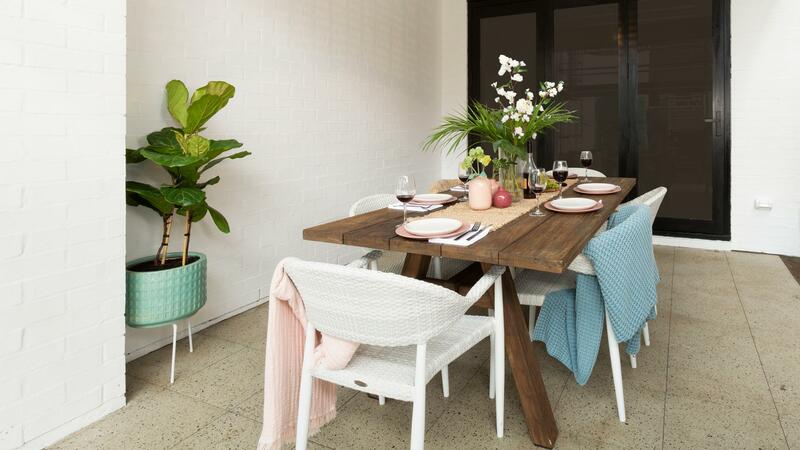 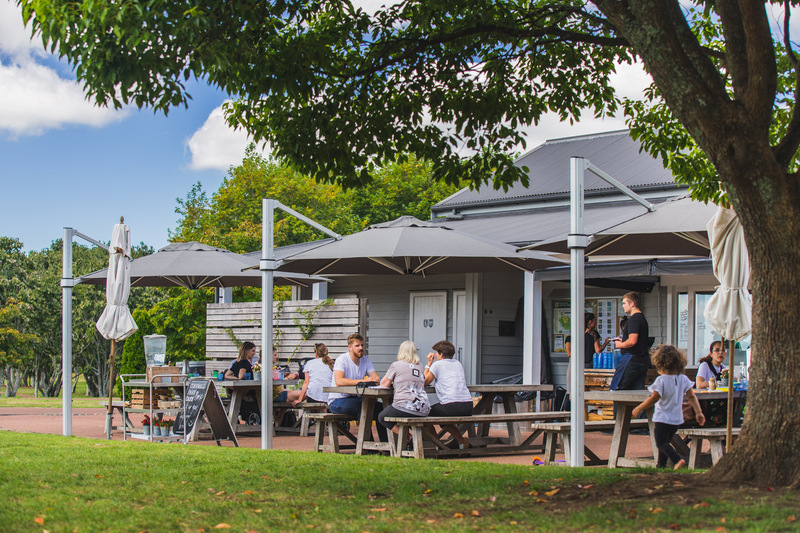 You will find our outdoor umbrellas in Christchurch, Wellington and up and down NZ in the finest of homes as well in tough commercial environments in restaurants, cafes and vineyards. 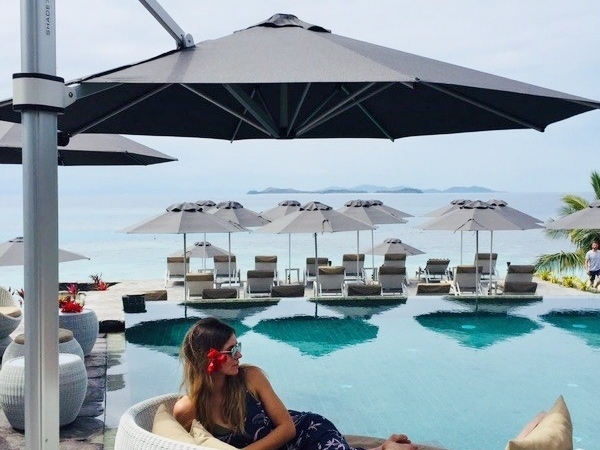 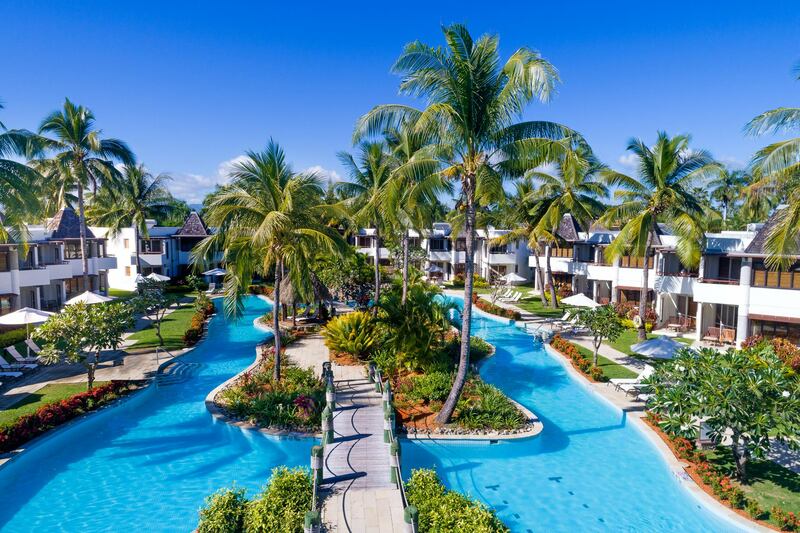 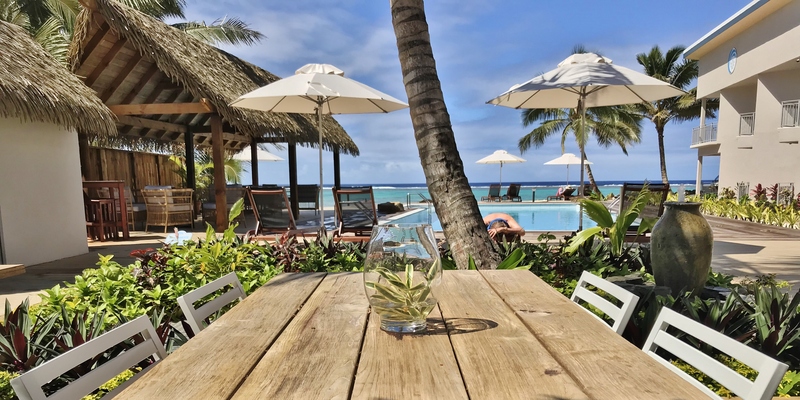 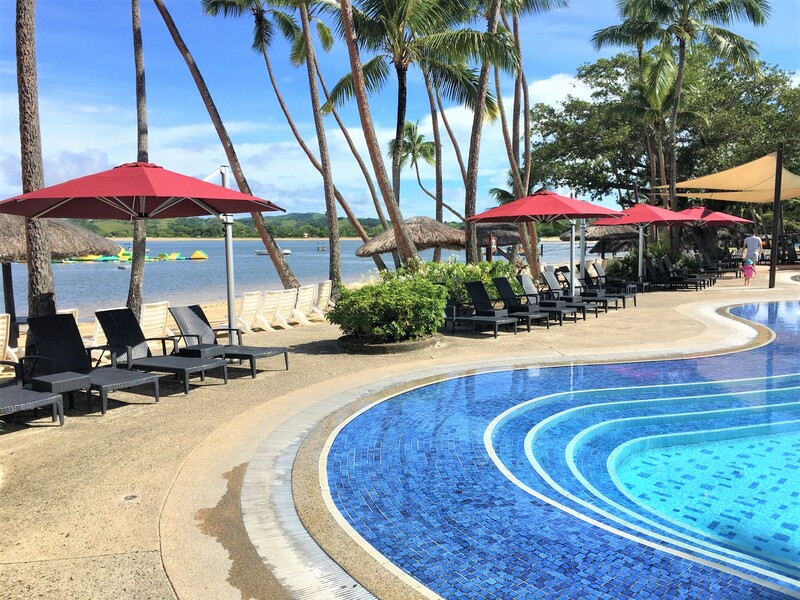 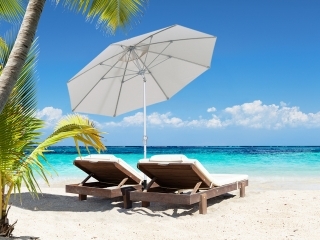 Our outdoor umbrellas can be seen extensively through resorts and hotels in Fiji, French Polynesia and the Pacific Islands, as well as further abroad through the USA, Middle East, Mauritius, Seychelles and many other countries. 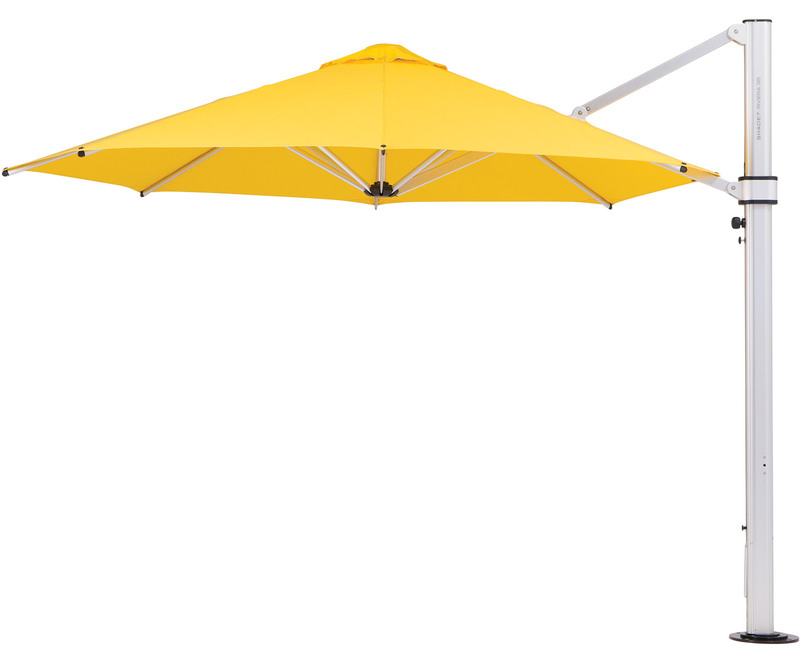 Shade7’s heavy duty Pop Up Gazebo range are perfect for everyday rough and tough use. 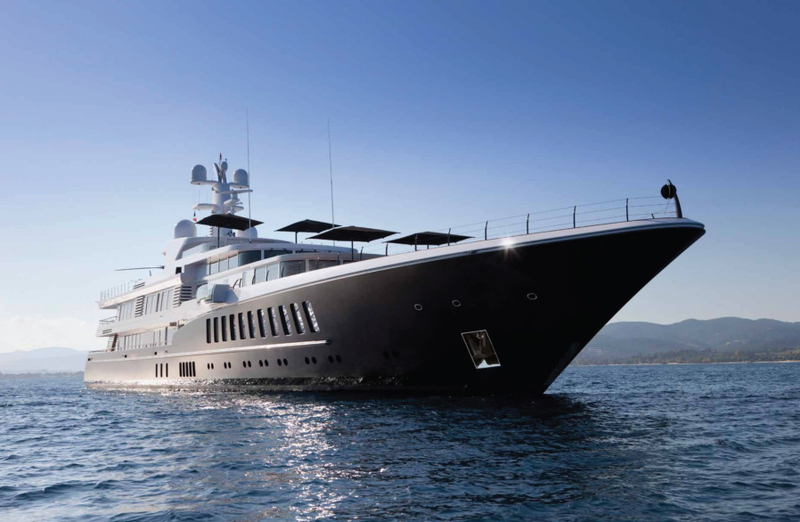 Light enough to be easily moved around and transported; yet strong enough to handle tough commercial or sporting environments. 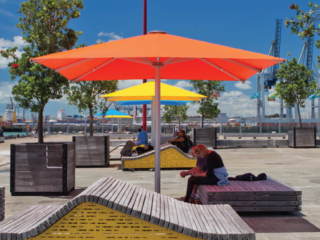 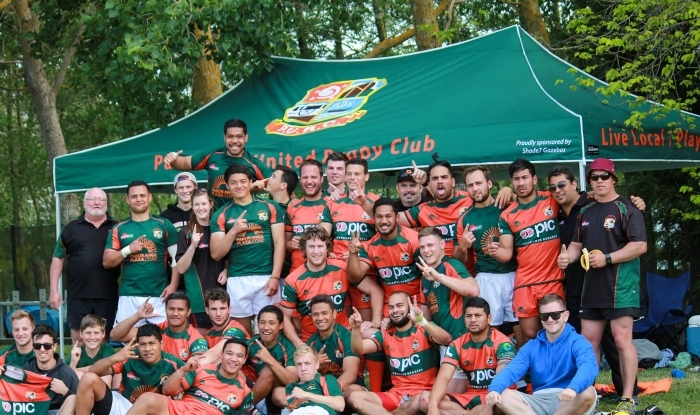 With our gazebo branding and printing service we can turn supply you with a fully branded gazebo that is the ultimate marketing and advertising tool! 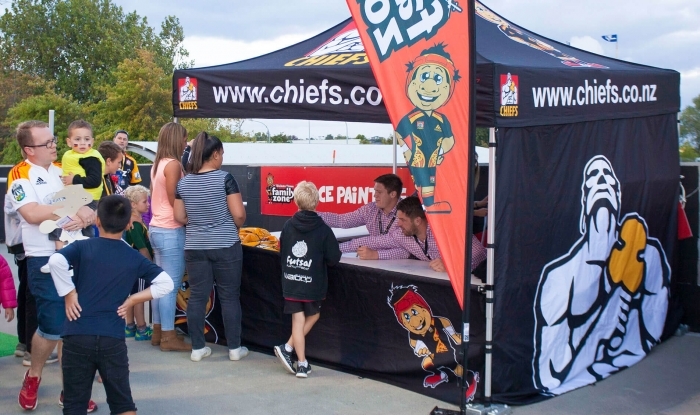 We can complete full colour branding on your gazebo roof panels, valances and walls with all-over coverage.